I've been away from my craft room far too long! The Cutting Edge Challenge #3. I ended up going with a monochromatic color design. I guess if you can't decide what colors to use, pick one and go with it! 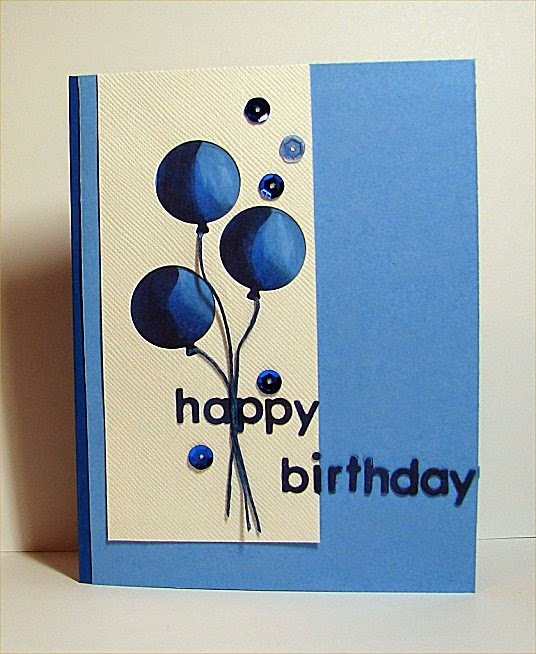 to color the card front under the cut out spaces. called waxy flax by scrap works...can't even tell you how OLD this stuff is! It made great balloon strings. Then I die cut letters and splashed on some sequins and called it done. The shading on your card looks terrific! Thanks for playing along with us at The Cutting Edge Challenge! Oh my gosh, Doni - this is super cute! 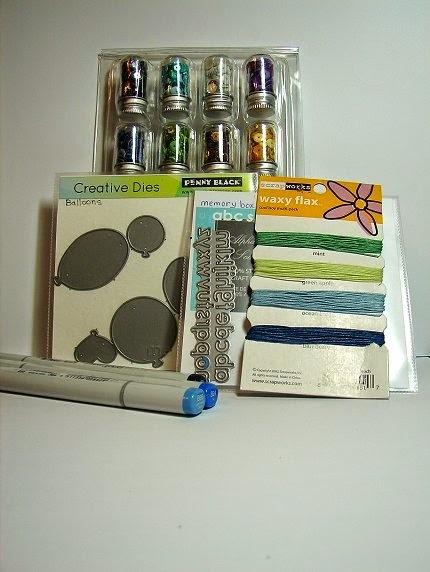 I so love using the negative of die cuts, and you've colored them beautifully!! Thanks so much for playing with us at the Cutting Edge Challenge - we're so glad you did!